Listen to our podcast on evidence-based management. We are in the middle of a revolution, what I call the evidence revolution. The professions, including medicine, teaching, and management, are in the midst of a cultural shift – toward learning how to evaluate and use evidence when prescribing policy. Yet there is resistance – particularly to evidence-based management. Behaviors and cultural norms change but slowly. Unlike the professions, there are no formal educational requirements for someone to become a manager. Business schools do not teach evidence-based approaches to decision-making, and in many areas (especially leadership) the evidence is insanely poor. One saying I like is that leadership theory consists of making lists of things. Managers and leaders are therefore of highly variable quality. 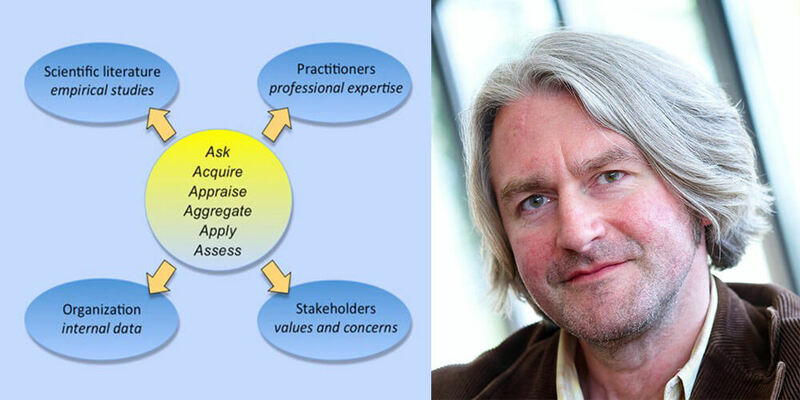 My guest today, Professor Rob Briner – one of the world’s experts in evidence-based management – will be helping us dig deeper into this topic. Rob is a professor of Organizational Psychology at Queen Mary, University of London and also the Scientific Director of the Center for Evidence-Based Management. His research has focused on several topics including well-being, emotions, stress, ethnicity, the psychological contract, absence from work, motivation, work-nonwork and everyday work behavior. Beyond academic research, Rob helps practitioners and organizations make better use of evidence, including research evidence, in decision-making as well as encouraging academics to make research more accessible. We veer from the basic to the quite technical – if you aren’t a manager or business person, listen for the deeper themes for decision making in public policy and democracies. Don’t miss the bit where we talk about expertise and democracy, trust the evidence, not the experts, where Rob contrasts eminence versus expertise. What is evidence-based management? What is evidence? What an evidence-based approach to management is and how it is different. Some of the criticisms of EBM. How evidence-based management is different than evidence-based medicine. The importance of considering stakeholders AND managers “craft-like” experience. Rate and review the show to receive a book from one of our guests!